Conspiracies, by definition, require more than one person to be involved. 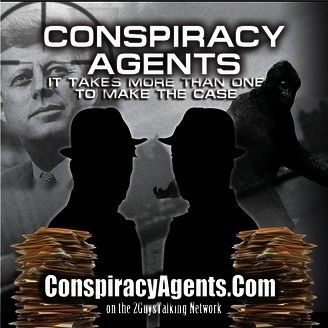 Conspiracy Agents is your opportunity to get involved in the discussion, investigation and fact-finding in regard to today's most interesting Conspiracies. Bigfoot, The Illuminati, UFOs and more. Grab your credentials, straighten your thin black tie - it's time to dig into the growing stack of manila files. Open your mind. 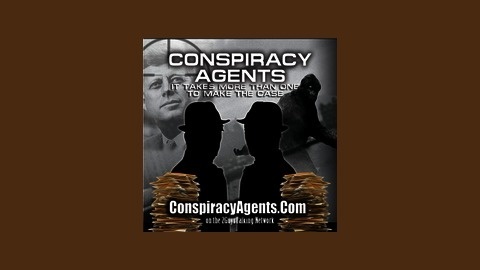 It's time for Conspiracy Agents with Dr. Michael Lynch and Mike Wilkerson. Adolf Hitler Died - in America? Adolf Hitler. Nazi Germany. The Third Reich. They're words that conjure hate, wonder and questions - and will always continue to do so - forever. This time of year, as the Anniversary of Dday, the end of World War II, and all the dates that matter arrive, the fact is that Hitler did NOT die of suicide in Germany. He didn't get transported to Argentina and live out his days either, as the recent "Hunting Hitler" surmises. The facts ARE DIFFERENT and they're all going under the spotlight here on the Conspiracy Angents - a focus on Hitler Dying in America...?